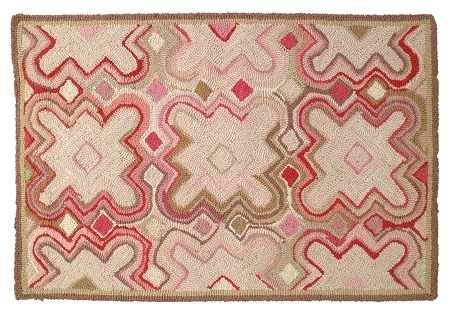 Putnam Pink, H628, is one of our most successful new hooked wool rugs. 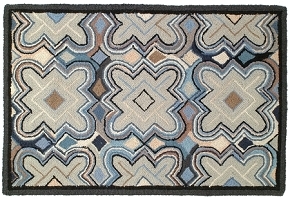 While the pattern is simple, a repeating square type motif, it is made exciting and vibrant by many sophisticated colors. 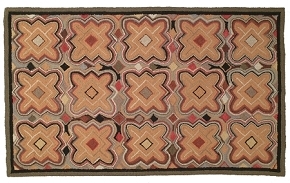 Much of the field is a medium red with oatmeal beiges, but there are many many highlights that work and enhance this dominate color - many shades of red, taupes,warm grey,etc.